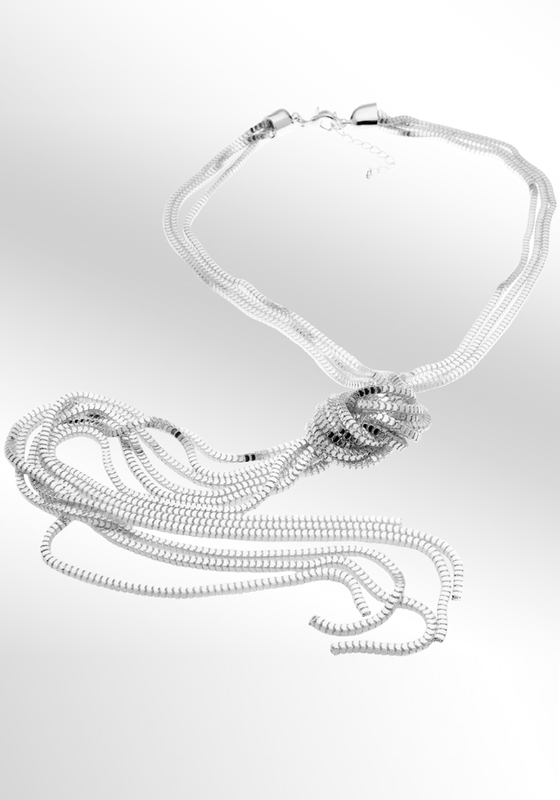 A long silver plated necklace from the eShe range by Newbridge. 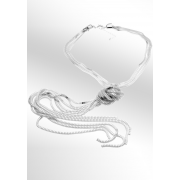 This chain features a knotted style detailing with six chains. The necklace comes with a protective anti-tarnish layer. The chain closes with an extension lobster style closure and can be worn with casual or evening attire.